Buffalo chicken dip always makes an appearance whenever we are serving appetizers for dinner, like during the Super Bowl. We usually eat it with tortilla chips, but I think this idea for buffalo chicken potato skin might be my new favorite way to eat it. Actually, when we make it there are usually a ton of leftovers because I tend to make too much, not because it isn't yummy) so this would be a great way to put some of them to good use. Plus making it look like a potato is extra fun for your Super Bowl Party! 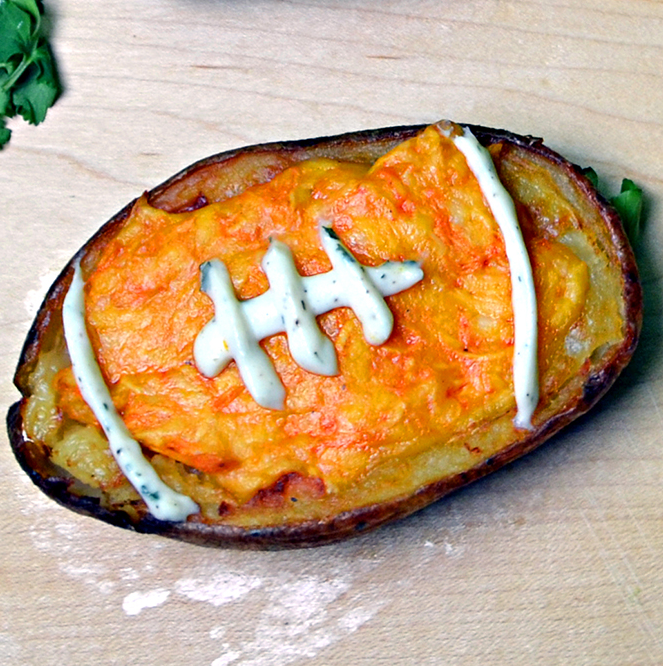 You can get the recipe for these football buffalo chicken potato skins over at Host the Toast.